Police are renewing appeals to trace a Hollesley Bay prisoner who was been missing since last week. Gerry Sergeant, aged 61, was due to return to the prison at 8pm on Friday 9 September, after being released on temporary licence to attend a work placement in Bury St Edmunds, which he travelled to on a motorcycle. He is serving a 15-year sentence for robbery and theft. He is described as 5ft 11in tall, of thin build, with brown eyes, white hair, clean shaven and tattoos on both forearms. He was last seen wearing motorcycle clothing and the motorbike he was riding is a red Honda 125cc, registration number AO11 VMZ. Sergeant has links to London and members of the public are advised not to approach him. Anyone who believes they may have seen Sergeant, or who has any information regarding his whereabouts, is asked to contact Suffolk Police on 101 quoting reference 65107/18. 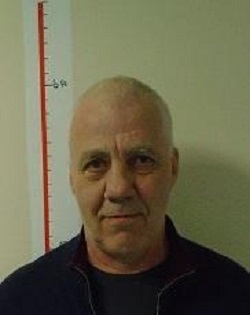 Police are appealing for help in tracing a Hollesley Bay prisoner who has absconded. Gerry Sergeant, aged 61, was reported missing to police after being due back at the prison at 8pm last night (Friday 9 November). He was due back on his motorcycle from a work placement he attends in Bury St Edmunds. He is serving an 15 year sentence for robbery and theft. He is described as five foot, 11 inches tall, of a thin build, with brown eyes, white hair, clean shaven and tattoos on both forearms. His motorbike he was riding was a red Honda 125 cc (reg: AO11 VMZ). He may be wearing motorbike gear. Enquiries are on-going to locate him and anyone who believes they may have seen　him　or who has any information regarding his whereabouts, is asked to contact Suffolk Police on 101, quoting CAD 430 of Friday 9 September.